People are going crazy after Pokemon Go. After Israel’s Defense forces and President Reuven Rivlin, sharing their Pokemon craze on social media, it’s Rio de Janeiro Eduardo Paes, who has asked the popular augmented reality game to launch in Rio. 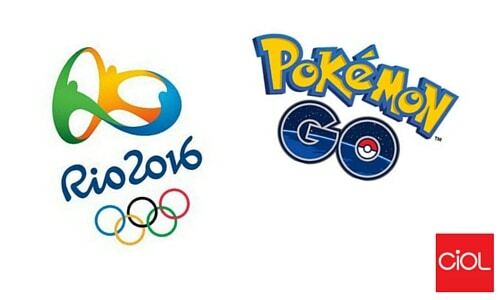 In a Facebook post on Wednesday, Mayor Eduardo Paes asked the game to launch in Rio, which is officially available in Australia, New Zealand, the U.S., Germany and the U.K., as he wants people to be able to hunt for Charmander and Rattatas while they’re visiting the city during the Olympic games, which will be held from August 5 to August 21. Paes’ appeal was directed at Nintendo (NTDOF), which owns a large stake in Niantic, the company that created Pokemon Go. Though Pokemon Go has already been mapped to the entire world for the future launches, Niantic told CNNMoney they had no public timetable for launching Pokemon Go in Brazil. However, there are detailed street-by-street layouts of regions and cities of all sizes. Pokemon Go works by using your phone’s camera to superimpose Pokemon creatures into the real world – the augmented reality. Players capture the virtual creatures and can amass a collection and train them to battle Pokemon held by other players. The game was released on July 7 and has been downloaded over 10 million times to Android and Apple devices. It has already taken over Tinder and Twitter, has knocked the previous record holder, Supercell’s Clash Royale game in terms of revenues on iOS and Android.